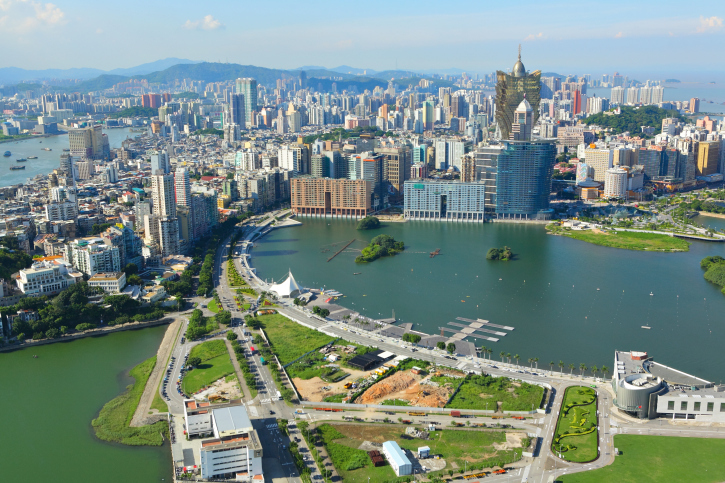 Most people have to go to Macau in order to validate their visa. But most of them don’t actually SPEND THE DAY there. Take the ferry Turbojet (or the helicopter…) in the morning to arrive there around 11:00 am and walk around in the center before lunch. Have a lunch at the Michelin starred Restaurant Robuchon au Dome at the top of Grand Lisboa casino (lunch from HKD500). Note that you need to book around one week before. Alternatively you can have a lunch at Fernando on Cotai island; but then it is better to visit the old Macau first. Go to the old Macau part of the city for a digestive walk. Watch the House of Dancing Water in City of Dreams casino. While waiting you can grab a salad at the HardRock Café.